We have spoken with you before about Fifth Dimensional Leadership and would like to expand on that information. If you have said “Yes, I want to be a 5D Leader” when you are not even sure what that means, you have put yourself in the “fast lane” of Ascension. Therefore, your lives will begin to change very quickly, and you will be asked to release any person, place, situation or thing that binds you to the final illusions of the third/fourth dimensional paradigm. This Path that you have chosen is not an easy one. It is a Path in which you must clear out the old, and then clear it out again, then again and again. 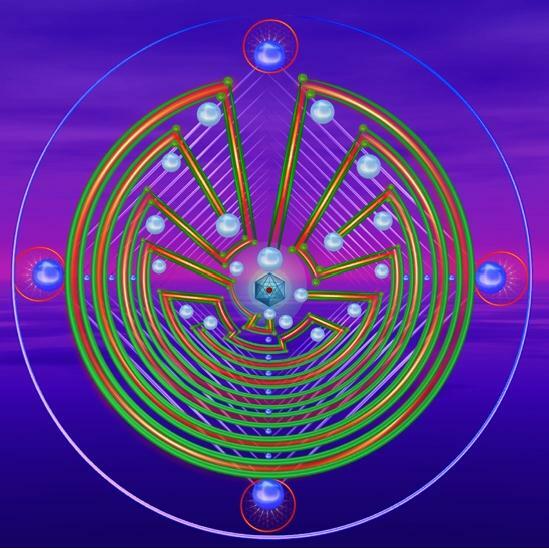 Light travels in circles, and as you allow higher and higher frequencies of Light into your beingness, the circular motion will take you into lower and lower frequencies of that which you are about to leave behind. As the Leaders into the fifth dimension, you are the “clean up crew” for Gaia. It does not matter if the darkness is in the Earth, in you, or someone else. In fact, as you continue to move into fifth dimensional Unity Consciousness, someone else becomes an extinct term. The cleaning up of the final remnants of Gaia’s 3D polarities has to be done, and “You” have volunteered to do it. In fact, you volunteered before you took this form. You, our beloved ones, are our dearest brothers and sisters who have made the monumental sacrifice to leave our wonderful realms of Light and Unconditional Love to wear an earth vessel throughout this process of Planetary Ascension. We, your Galactic and Celestial Family, call upon you “Now” to dedicate the remainder of your earth vessel’s existence to returning Gaia “Home” to Her fifth dimensional expression. There are those who say they will, but they won’t. On the other hand, there are those who say they will, and they Do! We know that we are asking you to strain your poor, exhausted earth vessel to its very limits of endurance. However, it is this process that will free you from the separation and limitation of that form for all eternity. We realize that we ask so very much of you, but if you can allow yourselves to remember who you really are, your hardships will be revealed as a blessing. There will be nothing that you are asked to surrender that will not be replaced with a higher frequency version. We make this statement knowing that “All” of you have conquered your power-over ego. No! You are Not just one human! No! You are not alone. Before we continue with our message, we wish to define Fifth Dimensional Leadership by saying that a Fifth Dimensional Leader is one who leads the way into the fifth dimension. This definition may assist with any confusion you may be having about how to lead. It is not so much How you lead, but Where you are leading. Our dearest One’s, we speak to All of you who receive this message. Even if you are not involved in a particular undertaking, we see that our Lightworkers have shifted into high gear in these final moments. We see vast changes on Gaia that we KNOW that you, our representatives wearing human vessels, have created these shifts with your vast, multidimensional creativity. 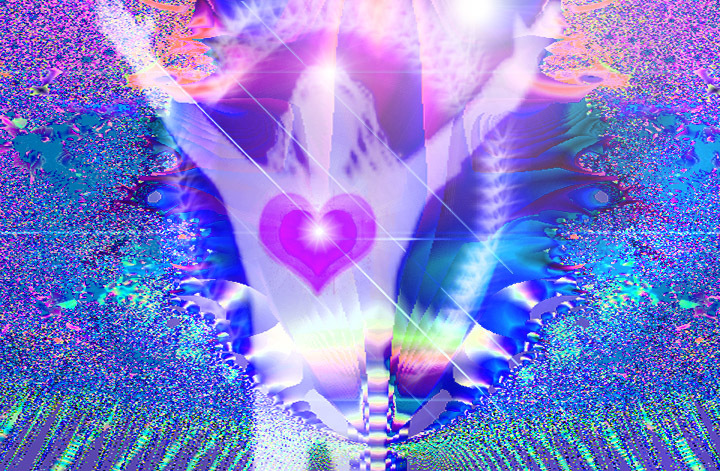 We look to All of you and see that You are indeed your true Self, cloaked in a lower frequency garment. Therefore, we ask you to remember that We, your Galactic and Celestial Family, are You! Hence, we are not more advanced than you. In fact, your challenge of being your Multidimensional Self within your small, clay form is a feat that we are not sure that we could complete. We honor you with our Open Heart and our Cosmic Mind. We hold great respect for our Galactic Family members who have volunteered to take a form for this final segment of the Planetary Process Ascension. Your collective ability to maintain a connection with your true Self while wearing a clay vessel is a primary component of your Mission. You are already victorious in that endeavor. Furthermore, each of you is beginning to understand your own puzzle piece, as well as how you can connect your personal puzzle piece to the planetary puzzle of Ascension. Unfortunately, you do not have the cover to the puzzle box to see how it will look when it is complete. Hence, each of you must look deep inside to discover your wish fulfilled. We, the Galactics, need a network of Ascending Ones who are bonded in Unity Consciousness with each other and with their higher dimensional expressions of Self. This Unity Consciousness cannot be fully achieved without the full integration of your multi-dimensional mental and emotional operating system. We say “mental and emotional” as within the Multi-dimensional Operating System, thoughts and emotions, mind and heart, are One. Therefore, you can think and perceive with your heart and feel your wonderful human emotions with your mind. Your expanded ability to perceive with your heart, which is ever expanding into perceiving with your High Heart, is the foundation of this new operating system. The mind, thoughts, brain and neurology can accept and organize the multi-dimensional light into information bits. However, only your High Heart can perceive, embrace and use the unconditional love that is the building block of all creation. Please remember that unconditional love is the bonding force of the Multiverse. Hence, unconditional love is the cohesive power that holds every energy molecule together to create form. Also, since the form that you are creating is fifth dimensional, unconditional love is needed to close all the third/fourth dimensional polarities of light, thought and emotion into Oneness. In this manner, your creative concepts can enter through the fifth dimensional Matrix where they are bonded together with the cohesion of unconditional love. First, we must remind you that within the vocabulary of unconditional love, the concepts of creating and perceiving are interchangeable. If something is not created, it is not perceivable. On the other hand, if it is not perceivable, it is not created. Because there is no time as you know it in the fifth dimension, it is not possible to place these concepts in a separate, sequential, organized fashion. There is only Now. Therefore, within the Here of the Now, creation and perception intermingle into the forms of fifth dimensional Earth. Paradoxically, the fifth dimensional is also formless, because it is infinitely responding to the ever-changing creative ideals of the Unity Consciousness. Meanwhile, back on physical Earth, some of our Ascending Ones are still struggling to decide whether or not they dare to “come out” as their true Self. a.. Integrated their Multidimensional Operating System to better understand that which they will be teaching to others. b.. Returned to Unity Consciousness to best assist with Planetary Ascension. c.. And are actively creating New Earth with their every thought and emotion. d.. We see that many of you are ready to join into the Flow of Ascension, but feel isolated and alone. Therefore, we ask those of you who have found your Way to share your process with those whom you have come to assist. Yes, you may not remember, but all of you have created strong bonds with certain life-streams through your myriad shared incarnations. In fact, many of you that find yourselves together now were also together within when you came to assist Gaia at the fall of Atlantis. Remember, our dear Ascending Ones, there are No mistakes and No accidents. You are the creator of your life! Even if this creation stems from the wounded ego of your subconscious mind or the immense power of your Multidimensional Self, it is Your creation. As you release All sense of victimization, you will Know that where you are and what you are doing Now is the Here from which you will commence your new life.